Here's another Japanese special which we most likely won't get here in Singapore, Subaru's new more luxurious WRX S4 SporVita. 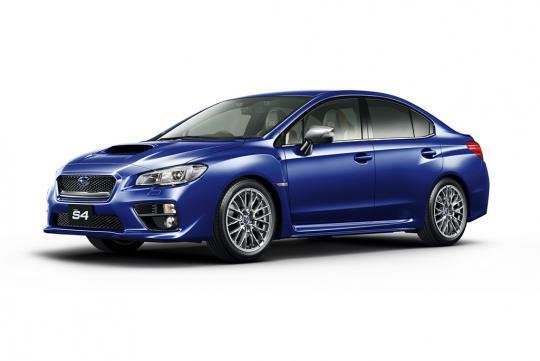 To be shown at the 2015 Tokyo Motor Show, Subaru says the WRX S4 SporVita is made to 'expresses the way the sporty performance of a Subaru vehicle and the uncompromising pursuit of a quality interior space combine to enrich the car life of drivers'. Combining the Italian words, sportiva (sports) and vita (life) to get its name, the new variant's interior receives most of the updates. 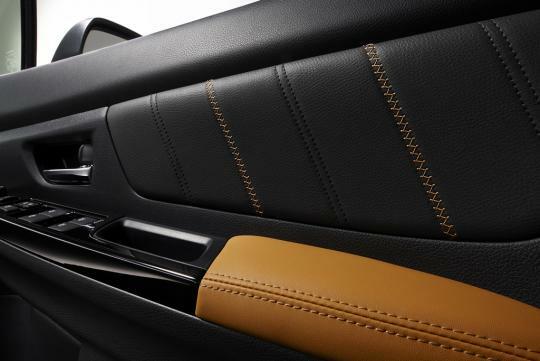 It is equipped with a two-tone leather seats that is unique to this model and designed in collaboration with renowned Italian leather maker Mario Levi - the first time a Japanese automaker adopts products from the Italian company. 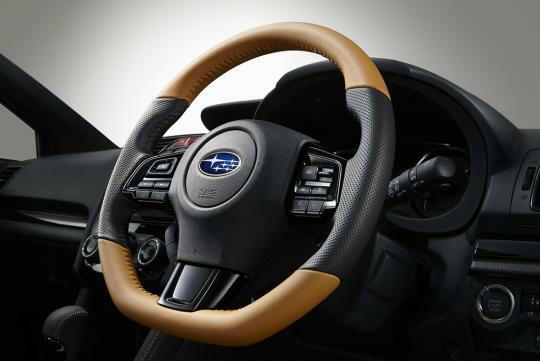 Elsewhere, the light brown and black theme features on the door panels, steering wheel and the gearshift levers too. Overall, the interior does look quite a bit more welcoming now in our opinion. Other than wider high-grip tyres (245/40R18), there is no other mechanical changes under the hood. It still produces 296bhp and 400Nm of torque as the normal WRX S4 (which is also a Japanese only model). 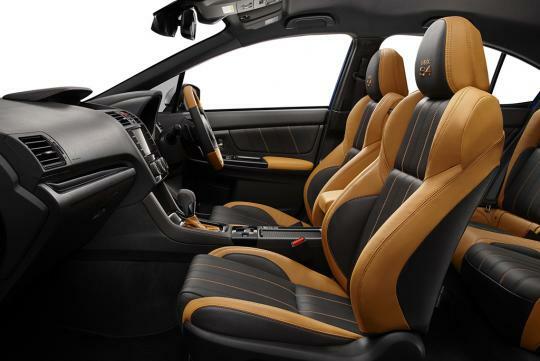 This type/colour leather seat can be easily done in S'pore....Rims also can get branded "Forged" ones from Rays. The WRX S4 is fundamentally the same WRX we get in Singapore. It has the same FA20 DIT engine as the S4. Just that the export version is detuned to cater for lower grade fuel. Nothing a little ecu hack can't fix. Yes, you are likely to be correct.